The 2016 growing season was another good one, hot dry summer which led to great ripening conditions for the grapes translating to wonderfull flavor. 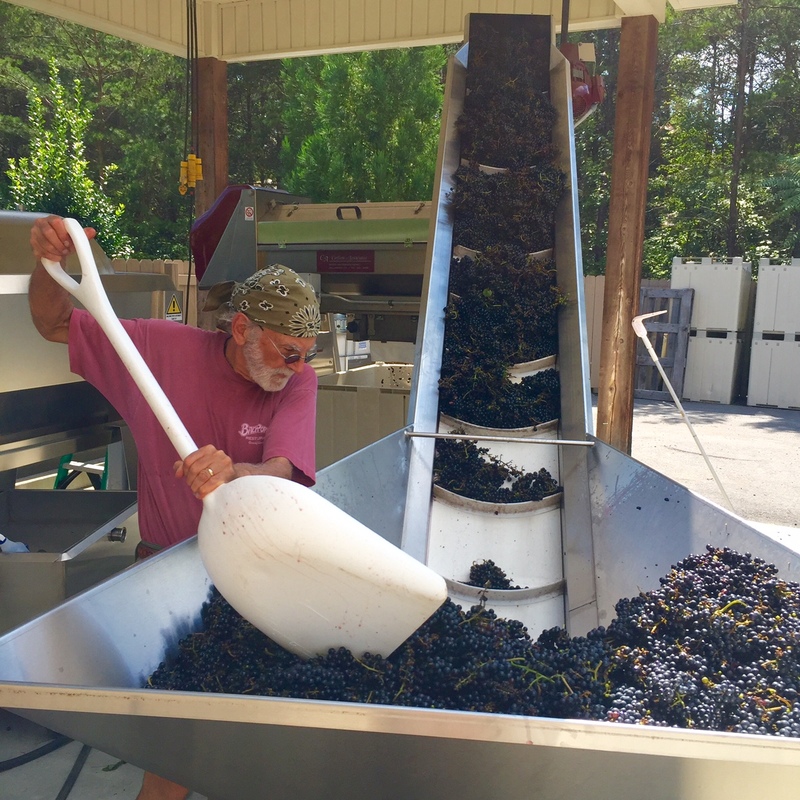 The prolonged heat toward end of September and early October, with warm nights as well, led to some early ripening of Petit Verdot as they started to dry on the vine, requiring an "emergency" harvest. This year we harvested our first vintage of Arandel, a hybrid red grape developed at Cornell, disease resistant and makes a deeply colored wine.We will have only 1 barrel this year, should make 25 cases. Also brought in Petit Verdot and Cabernet Franc and of course our Traminette. The Traminette is used for our signature wine VIVACE, and marks the 4th, and best, vintage. This will be bottled in early December and for sale in the new year.